PSC suggests transparency in appointments, minimum tenure for Chief Justices, increase of retirement age and more representation of women. The Parliamentary Standing Committee has tabled its 87th report on ‘Inordinate Delay in Filling up the Vacancies in the Court and High Courts’ before both houses of Parliament, which points finger at the Judiciary for distorting the original mandate of the Constitution, and has urged the government to take appropriate measures for restoring it. The committee further suggested that the cases involving the interpretation of the Constitution should not be heard by a bench of less than seven judges. It also expressed concern about the present stand-off over the finalisation of Memorandum of Procedure between the Executive and the Judiciary, which is leading to delay in filling the vacancies in the Constitutional courts and is adversely affecting administration of justice. Judicial appointments are shared responsibility of the Executive and the Judiciary to be exercised jointly with neither organ of the State having a primacy over the other. Retirement of a particular Judge and appointment against the resultant vacancy is simultaneously completed. Such a mechanism will be in the interest of the judicial administration and its efficacy. The terms ‘national security’ and ‘larger public interest’ in the MoP should, in no ambiguous terms be defined and circumstances/antecedents which fall within their purview listed. In case a candidate’s name is rejected for any reason by the Collegium, the candidate must be informed of the grounds of rejection. Rejection by the Government of the names recommended by the Supreme Court Collegium without furnishing cogent reasons, therefore, is against the principles of natural justice and leads to opaqueness in the appointment process. Zone of consideration of the legal practitioners who are short listed should be done by wider consultation amongst judges. The views of all judges in the Court and Bar Association needs to be obtained within a definite timeframe. A dedicated Cell in the Registry of the Constitutional Courts be set up to assist initiation of the proposals in time for filling the various vacancies. There should not be any occasion of having a gap between vacation of the post of Chief Justice (due to retirement transfer, elevation or any other reason) and the appointment of his successor. Women representation in higher judiciary for which data has been provided, is not encouraging. The Bench of Higher Judiciary to be reflective of composition of society and its diversity and recommends that suitable measures to achieve that may be taken. 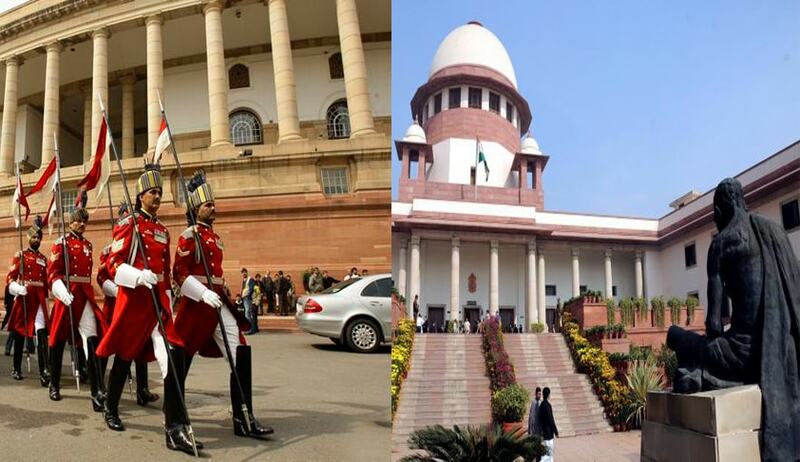 Increase of retirement age of Supreme Court judge to 67 years and of High Court judge to 65 years. The Department of Justice should consider ways so that a Chief Justice in the High Courts and in the Supreme Court remains in position for a certain minimum tenure.